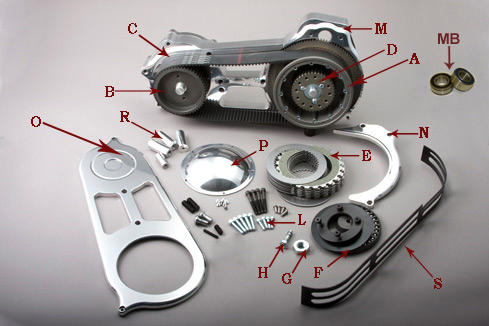 EV-625 Series | Belt Drives, LTD.
EV-625 series fits Softail® models 2007-up and 2006-Up Dyna, except SE, CVO, Breakout and Rocker models. Not for use with mid-controls. 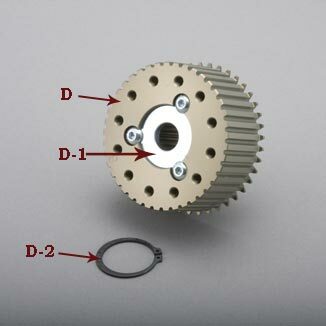 This kit is a 2″ drive which features a black belt guard that fits between the motor plate and outside cover. 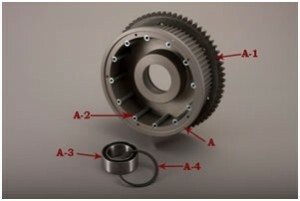 The kit also includes our patented Ball Bearing Lock Up Clutch which will be standard equipment on all BDL drives. The proprietary 2″ belt and pulley combination affords optimum performance throughout the entire RPM range. 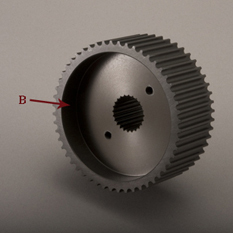 We offer this kit in Polished, Chrome (C), Black Anodize (B) and Clear Anodize (CA).